To provide care and hope to children suffering life threatening diseases through the support of St. Jude Children’s Research Hospital and the provision of financial relief to Louisiana families. 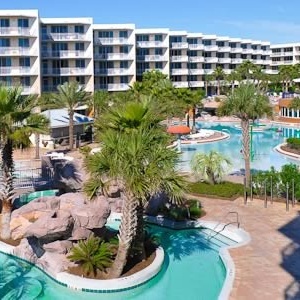 Individuals purchasing 4 or more raffle tickets will be entered in a drawing to win a 4 night stay at the Waterscape Resort in Ft. Walton Beach, Florida! The condo is 2 bedroom, 2 bathroom plus bunk area and sleeps eight people. Some restrictions apply: the condo is not available Memorial Day, Labor Day, June or July. The winner has a year from date of drawing to redeem. Promotion runs 9/1/17 through 9/22/17! Parents of 11-year-old Grant Voyles never thought "it" could happen to them - "it" being the diagnosis of a brain tumor this past January. Yet one blessing they can count is St. Jude Children's Research Hospital. The tumor is malignant and because of its location Grant will never be cancer free, yet they are extremely hopeful and confident in the advancements being made at St. Jude. The doctors there will monitor the tumor and will prolong treatment for as long as possible. 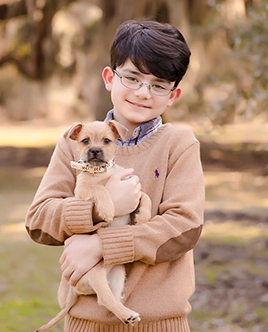 Grant is a sixth grade student at Christ Episcopal School in Covington, Louisiana and enjoys competing in track and field, flag football and baseball. Although initially devastated, he and his family are determined to trust God, relying on his favorite bible verse “For nothing is impossible with God.” Luke 1:37.
at Franco’s Athletic Club. Register Now! Don’t miss out on the chance to win a brand new 2017 Pearl White Chevy Traverse (MSRP $37,635) compliments of Bill Hood Chevrolet. See promotion above and be entered for a chance to win a Florida Condo stay! Purchase Tickets Online! Stay up to date with the latest news and updates by subscribing to our newsletter!